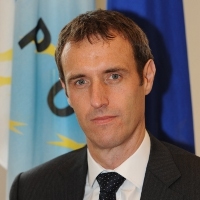 The Director of Europol, Rob Wainwright, joined senior clergymen and police officers from 20 countries, as well as victims of modern-day slavery, at a conference hosted by the Vatican’s Academy of Sciences on April 9 and 10 focused on combating human trafficking. The conference facilitated the building of a new international alliance between the police community and religious leaders to bring to an end all forms of modern slavery. Pope Francis delivered a powerful message at the conference, referring to human trafficking as a “crime against humanity” and calling for enhanced collaboration in this area. Being trafficked inevitably results in the sustained physical and psychological abuse of the victim and begins at the recruitment phase where the individual is deceived, persuaded, abducted or otherwise received into the hands of the traffickers. The trauma associated with this exploitation can and does affect the individual long after the victim has been removed from the exploitative conditions. Most trafficked victims are women and children but men are now equally exploited in the area of labour exploitation. The most vulnerable, of course, are children since considerably less sophistication is required in the recruiting process. This is especially the case where the parents themselves are complicit with the traffickers. Delivering a speech at the formal conference dinner Mr Wainwright urged police leaders in all countries to increase the operational priority given to investigating human trafficking and cited the recent case of joint operation involving Europol, Italy, Romania, Belgium and the UK which disrupted a criminal gang trafficking victims from Romania to Italy. He referred to the global forces of technology, increased human mobility and growing interconnections in the world economy, which have brought many benefits to society but which also carried a dark side that have caused dislocations in society and inspired new shifts in criminal activity including in the area of human trafficking. Reflecting the common commitment expressed by conference delegates Mr Wainwright predicted that “by working together and leveraging the power of the fundamental human condition of doing the right thing” the police community and civil society will succeed in eradicating modern slavery. Delegates were honoured to receive a private audience with Pope Francis at the close of the conference.